Hillary Clinton will be attending Jeffrey Katzenberg's Hollywood fundraiser for Senate Democrats, according to the Los Angeles Times. 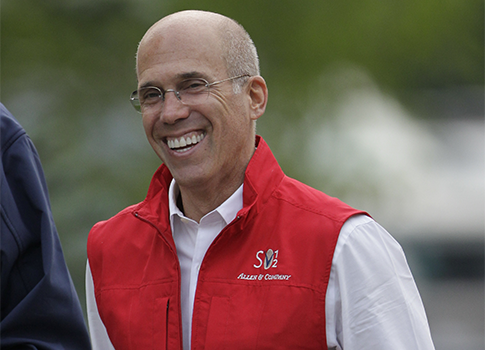 The fundraiser comes as Katzenberg is aggressively attempting to sell DreamWorks Animation. He even went across the aisle and pleaded with Rupert Murdoch to buy the studio, but was denied. Katzenberg has been one of Obama's most loyal financial backers, and has remained close with the president throughout his time in the White House. He was awarded the prestigious National Medal of Arts by Obama earlier this year and even got a visit from Obama for a speech at DreamWorks. Katzenberg has already assured Clinton that she will have the support of Hollywood in 2016. This entry was posted in Politics and tagged 2014 Election, 2016 Election, Barack Obama, Democratic Donors, Hillary Clinton, Jeffrey Katzenberg. Bookmark the permalink.